I still find it baffling that I live on an island but have a difficult time finding a beach to go to. Or rather, a beach that isn’t covered in garbage with plastic trash bobbing by me as I “relax” in the water with my kids. Hate to say it, but it’s true. And the worst part is that, unlike Egypt, where trash cans were almost non-existent, they are actually present here. And yet people still throw their trash on the ground, or leave it for the waves to carry off. Disgraceful and disgusting. 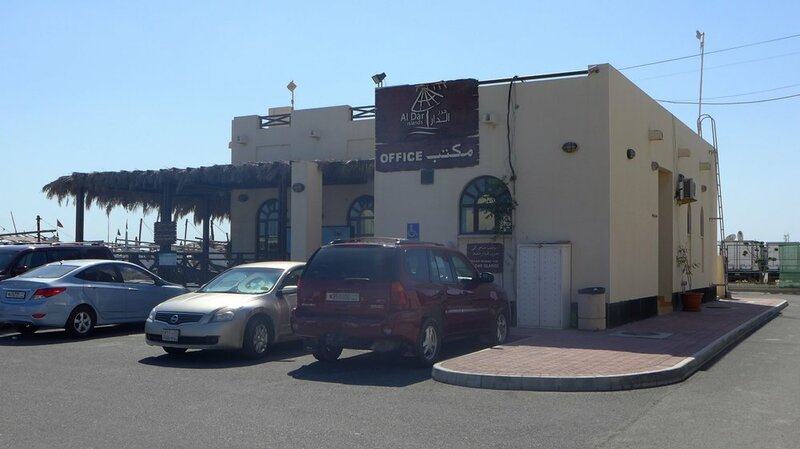 Head into the Al Dar Islands office to get your tickets. The office is open from 9:00 a.m. until 7:00 p.m. (9:00 p.m. on the weekends and holidays). Day tickets for the weekend and holidays cost 8BD for adults, 4BD for kids 6-15, and anyone five-years-old and under are free. If you go during the week (Sunday through Thursday), tickets are only 5BD for adults and 2BD for kids 6-15. This includes the boat trip there and back, and island entry. 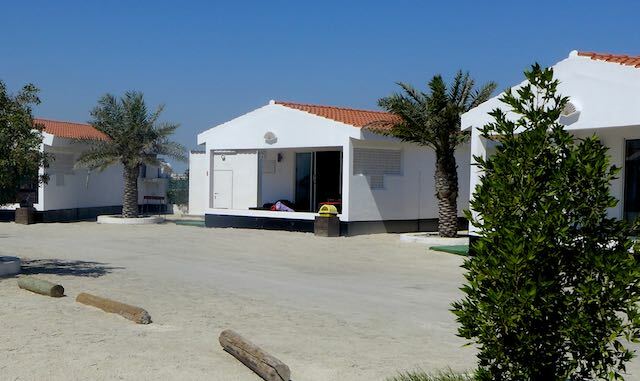 For the more adventurous out there, rent a chalet for the night and enjoy two days on the island. The chalets come in one, two and three-bedroom options, all with an outdoor kitchen (think microwave and hotplate). They will also build a fire for you to facilitate any smores needs you may have. Rates start at 65BD. You can also partake of other trips, like dolphin watching, scuba diving, sailing and jet ski lessons. 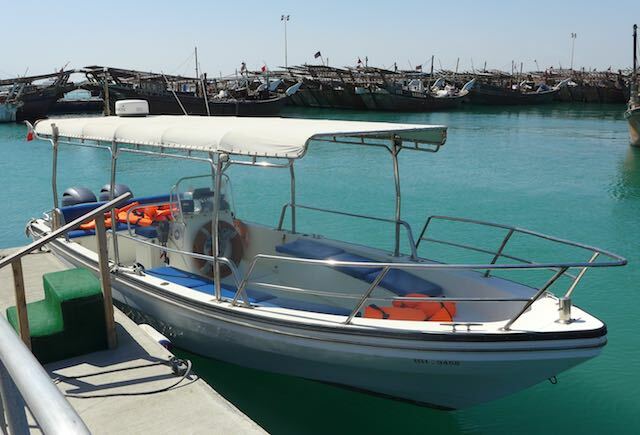 You can get more information on their website, www.aldarislands.com, or call them at +97317704600. For our first time, we just opted to do the day-trip to the island. The boats leave every 30 minutes, starting at 9:00 a.m. and the trip only takes 8 minutes. And yes, the boats provide life vests for everyone, even the kids, and they actually insist that everyone wear them. During the Spring, be on the lookout for dolphins! You can bring all the food and drinks you want with you, but they also have a small restaurant, Jack and Joe’s Burgers, that sells burgers and fries and such. As well as the South Bar, that has beer, wine and cocktails. And there’s a shop that sells clothes, swimsuits and such, but other that those three establishments, there’s nothing else to buy on the island. They do provide lockers (bring your own lock) and a small grill area, if you need either. They do have lots of beach equipment you can rent, such as paddle boats, kayaks, snorkel gear, jet skis, etc. Whether you partake in any of those extras is obviously up to you, but one thing I strongly recommend you do rent is a beach hut. The rates start at 15BD per day, and they come in a few different “styles” but they all come with “Arabic seating” (cushions on the ground) and blessed shade. They are offered on a first-come, first-served basis and cannot be reserved ahead of time. So, as soon as you arrive on the island, enquire. The beach itself is a lovely quiet little bay. It’s perfect for wading, sand castles, crab watching, etc. And for when the kids need a little break from the beach, there is a separate play area that includes a playground, dusty bouncy house, and a large shaded pool. There are also beach huts around here. There are two public bathrooms that are clean and have cold brisk public showers, perfect for a quick beach clean. This trip was the first time we’ve gone anywhere with our three kids (ages 5, 3 and 3) that I actually felt like it was a vacation (aside from a Disney cruise). Granted, it helped that my three littles are getting older and we went with great friends, but that, combined with everything they offer, made it a perfect day for us. In the end, my husband said to me, “Why haven’t we done this sooner?” To which I replied, “Because sometimes I just don’t have the energy to shove you out the door.” But we’re both glad I did this time. And be prepared to be shoved again, dear. We’ll be heading back to Al Dar again before the summer heat arrives.